The day had begun well. My friend and I were in Tsavo National Park, among the tangled vegetation and wild herds, searching for Eleanor. 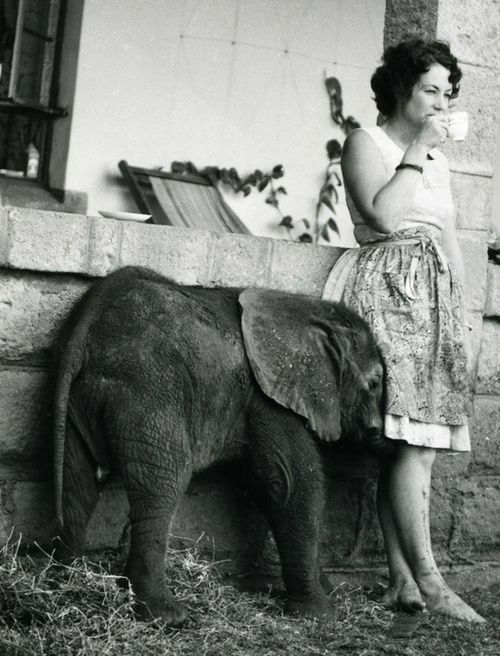 I was eager to find my most treasured orphaned elephant. 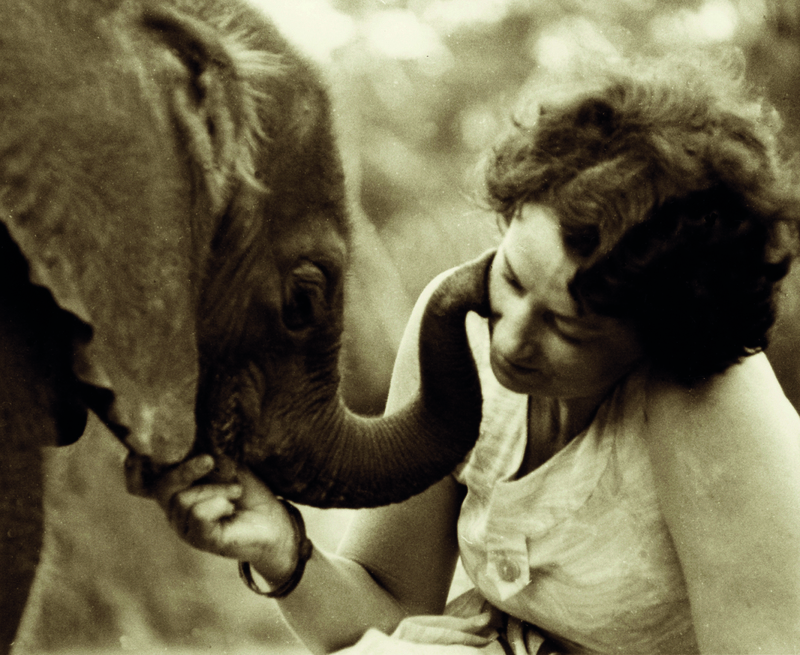 Over my many years of involvement with elephants, there was no doubt about it: Eleanor had taught me the most about her kind. We had been through many ups and downs together. She was my old friend. Finding her was not an easy task. Tsavo spreads over 8,000 square miles. We were looking now in the place where I had heard she had been just the day before. There had been many occasions in the past when, suspecting that Eleanor might be among a wild herd, I had simply called her name and she had turned quietly from her group and come to me. We had shared many tender moments, her massive trunk prickly as she wrapped it gently around my neck, one huge foot raised in greeting for me to hug with both my arms. 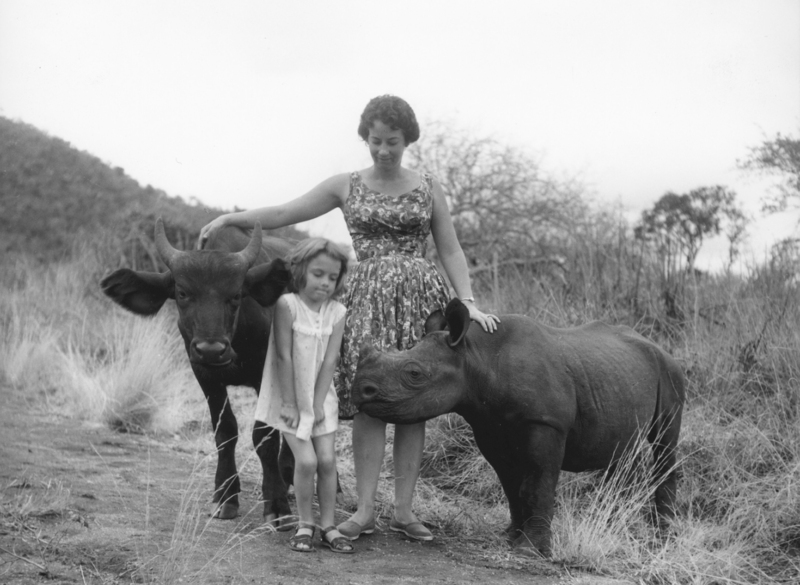 I had known Eleanor since she had become an orphan at two – now she was in her forties, almost the same age as Jill, my elder daughter – and there existed between us an amazing bond of friendship and trust that had persisted beyond her return to the wild. At last – in the right area – we spotted a wild herd. From a distance it was never easy to identify Eleanor among a milling crowd of her fellow adults, and I had never felt the need to do so, certain that she would always know me. Unlike the other wild elephants of Tsavo, who had no reason to either like or trust humans, Eleanor would always want to come when called, to greet me, simply for old times’ sake. I have come to know a lot about elephant memory and how very similar to ourselves elephants are in terms of emotion – afterall, greeting an old friend makes you feel good, remembered, wanted. There stood a large cow elephant drinking at a muddy pool, her family already moving on among the bushes. From this distance, it didn’t look much like Eleanor, for although as large, this elephant was stockier. I told my friend as much. She did. The elephant looked up at me, her ears slightly raised, curious. She left the pool and walked straight up to us. I looked into her eyes, which curiously were pale amber. I had a fleeting thought that Eleanor’s eyes were darker, but I dismissed this instantly. This must be Eleanor. Wild elephants in Tsavo simply did not behave in this way, approaching humans so trustingly. 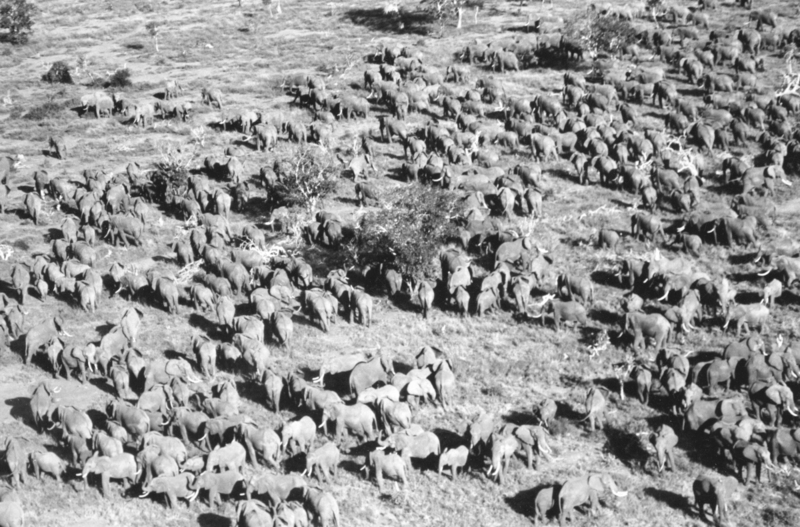 The Tsavo herds were now innately suspicious of our kind, having been relentlessly persecuted in the poaching holocaust of the 70s, 80s and early 90s. Reaching up, I touched her cheeks and felt the cool ivory of her tusks, caressing her below the chin in greeting. Her eyes were gentle and friendly, fringed with long dark lashes; her manner was welcoming. 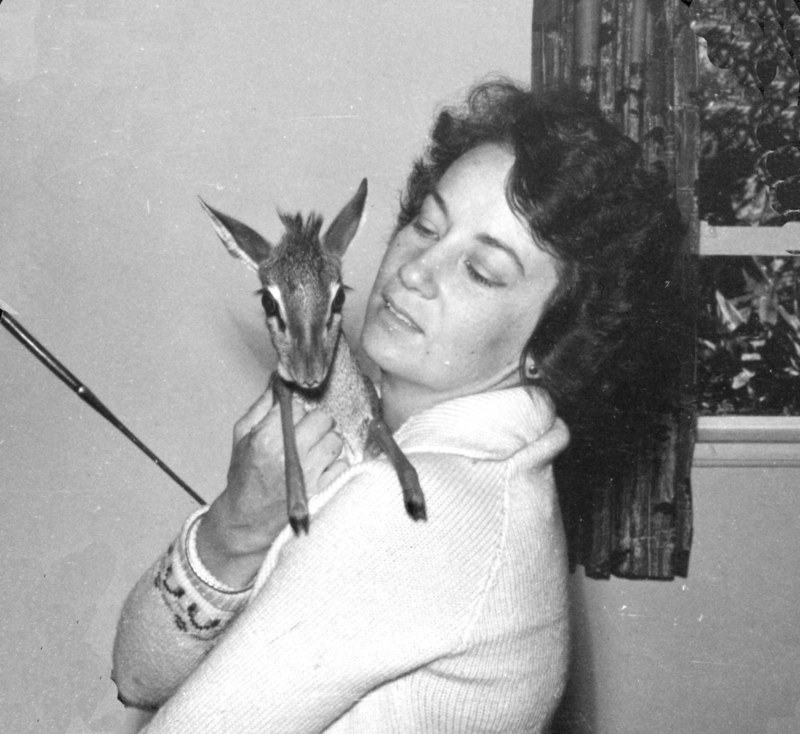 I positioned myself beside one massive foreleg, reaching up my hand to stroke her behind the ear, something that I loved doing with Eleanor. The hind side of an elephant’s ear is as soft and smooth to the touch as silk and always deliciously cool. I was totally unprepared for what happened next. The elephant took a pace backwards, swung her giant head and, using her trunk to lift my body, threw me like a piece of weightless flotsam high through the air with such force that I smashed down onto a giant clump of boulders some twenty paces away. I knew at once that the impact had shattered my right leg, for I could hear and feel the bones crunch as I struggled to sit up. I could see too that I was already bleeding copiously from an open wound in my thigh. Astonishingly, there was no pain – not yet, anyway. My friend screamed. The elephant – I knew for certain now that this was not Eleanor – rushed at me, towering above my broken body as I braced myself for the end. I closed my eyes and began to pray. I had a lot to be thankful for, but I did not want to leave this world quite yet. Inside I began to panic, jumbled thoughts crowding my mind. But suddenly there was a moment of pure stillness – as if the world had simply stopped turning – and as I opened my eyes I could feel the elephant gently insert her tusks between my body and the rocks. Rather than a desire to kill, I realized that the elephant was actually trying to help me by lifting me to my feet, encouraging me to stand. I thought: this is how they respond to their young. But lifting me now could be catastrophic for my broken body. “No!” I shouted, as I smacked the tip of the wet trunk that reached down to touch my face. She gazed down at me, her ears splayed open in the shape of Africa, her eyes kind and concerned. Then, lifting one huge foot, she began to feel me gently all over, barely touching me. Her great ears stood out at right angles to her huge head as she contemplated me lying helpless, merely inches from the tip of two long, sharp tusks. 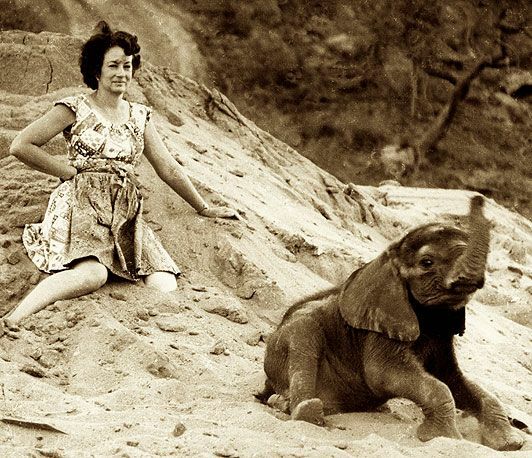 I knew then that she did not intend to kill me – elephants are careful where they tread and do not stamp on their victims. If they do intend to kill, they kneel down and use the top of the trunk and forehead. And it was at this moment – with an astonishing clarity of thought that I can still feel within me to this day – I realized that if I were to live, I needed to fulfill the debt I owed to Nature and all the animals that had so enriched my life. For even as I could feel the broken bones within my crumpled body, feel the fire of pain now engulfing me, and even though it was one of my beloved creatures that had caused me this distress, I knew then and there that I had an absolute duty to pass on my intimate knowledge and understanding of Africa’s wild animals and my belonging to Kenya. I thought: if I survive this, I will write. This will be my legacy. I will set down everything I have learned in my efforts to contribute to the conservation, preservation and protection of wildlife in this magical land. It was as if the elephant had heard my thoughts. There was a tense silence as she took one more look at me and moved slowly off. I would live on. In a state of some distress, my friend managed to find his way back to our driver to fetch help. After many hours of lying beneath that boulder, experiencing agonizing pain such as never before, I was rescued by the Flying Doctors. My ordeal was far from over. I was to endure endless operations, raging infections, bone grafts and a lengthy convalescence in which it took me months of learning to walk again. But I was alive, still here in Africa. I had survived because of elephants’ extraordinary ability to communicate very sophisticated messages to each other, messages that often go against all their natural instinct. For we discovered that Eleanor knew Catherine – as we subsequently named my wild attacker – and had somehow told her that I was a friend. As for my epiphany – the certainty that I had to write about my life and my work – here it is, some years down the line. This is the story of my settler ancestors; of growing up on my parents’ farm; of safaris and nights under the stars; of my soulmate David, my daughters Jill and Angela, the birth of our elephant orphanage, my life lived – all interwoven with spellbinding stories of the many different animals that have immeasurably enriched my life, animals I have reared and loved and come to know as a surrogate mother. Set against the majestic land of Africa, the birthplace of mankind, my story begins. 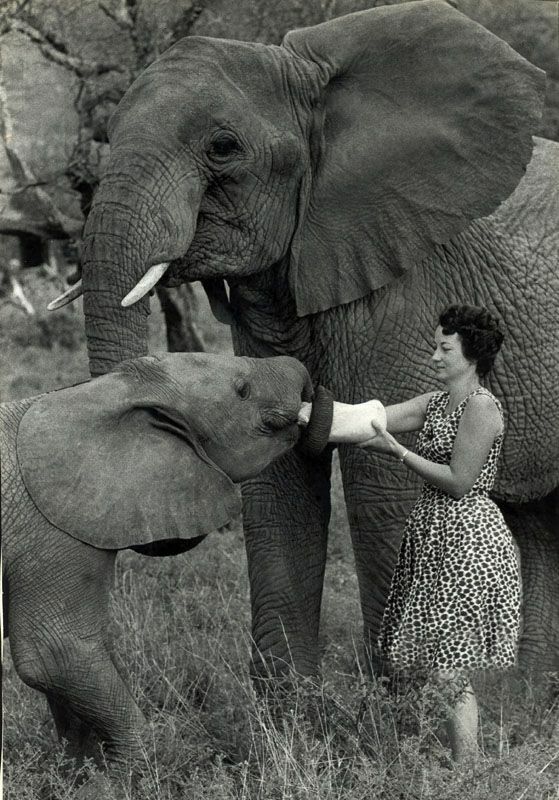 Excerpted from “Love, Life, and Elephants: An African Love Story” by Dame Daphne Sheldrick, published in May 2012 by Farrar, Straus and Giroux, LLC. 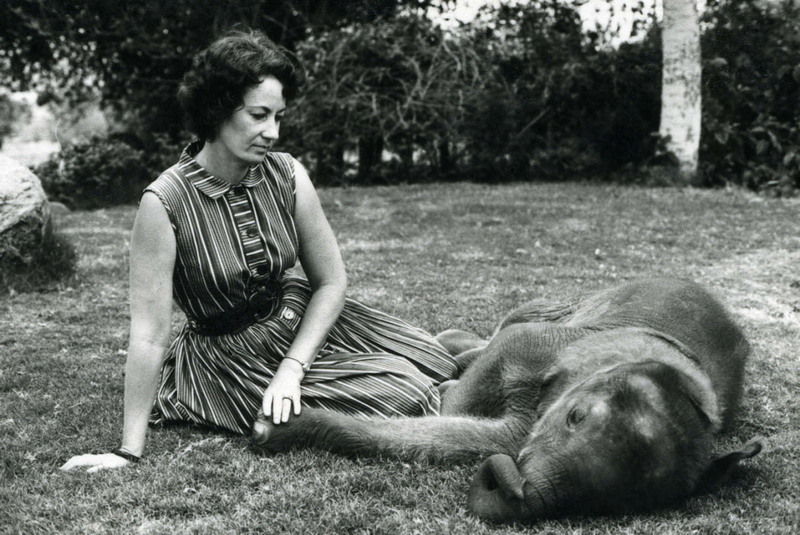 Copyright ©2012 by Dame Daphne Sheldrick. All rights reserved. All photos are courtesy of David Sheldrick Wildlife Trust.